When we have down time I love taking my family on picnics with not so ordinary picnic foods (that are also toddler approved). So I’ve got tons of tips & tricks under my belt so that you can host a totally Instagram worthy Picnic. And guess what? you can find all of these things at Kroger while also racking up fuel points! 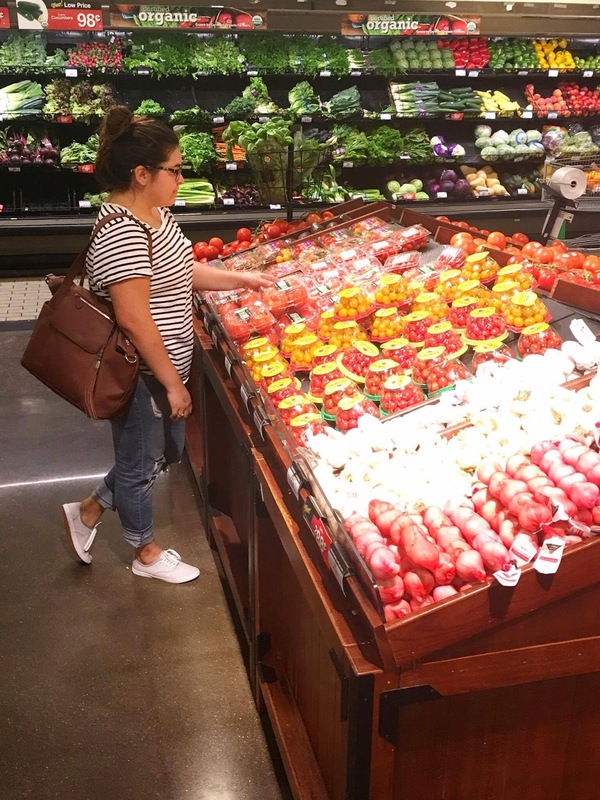 Kroger has a great selection of meats & locally sourced produced with fresh seasonal items that are just what you’re looking for and that fit your budget. Since I have a Kroger right down the street from me, I’m pretty sure they know my name already (haha). 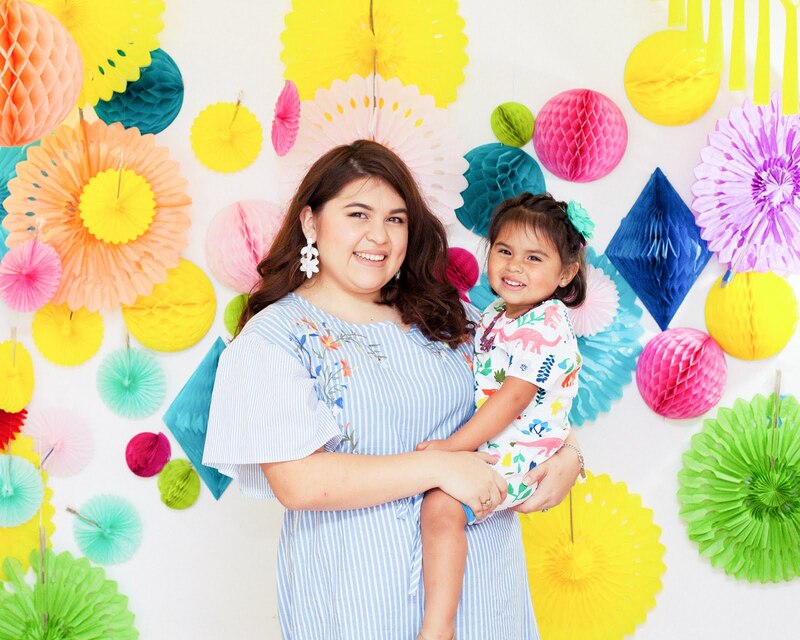 My favorite part about Kroger is not only that they offer such a wide variety of locally sourced fresh fruits, veggies and meats but they also have an awesome selection of flowers that brighten up anyone’s day and are perfect for summertime picnics! And Kroger always has great prices and sales and promotions to help you save even more. 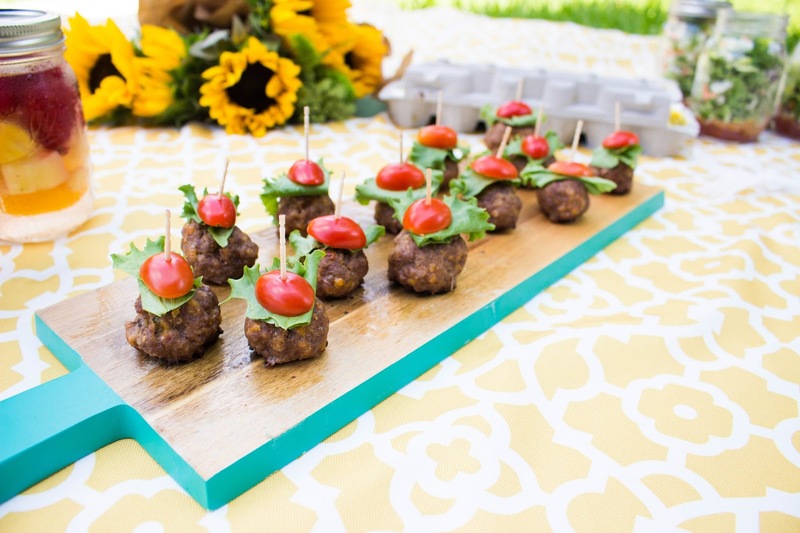 Jeff’s favorite picnic food is my Cheeseburger Meatballs and they pair perfectly with deviled eggs, mason jar salads, and fruit infused waters! 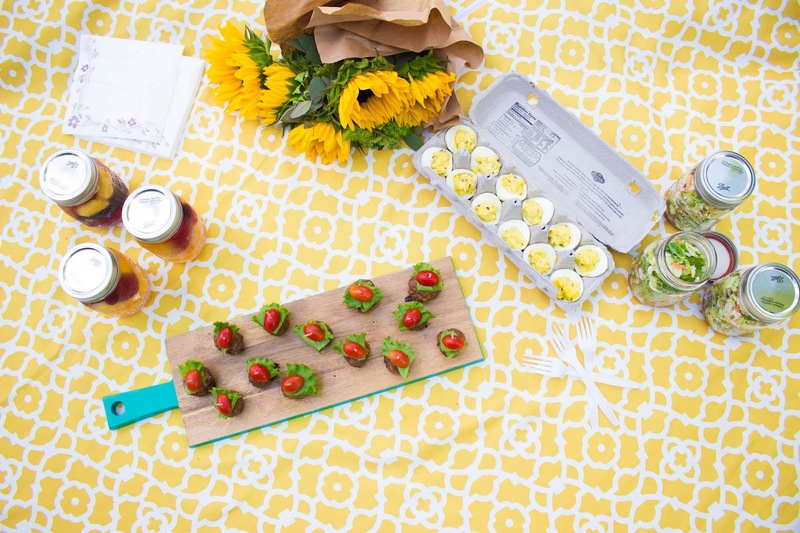 Not your typical picnic food right? 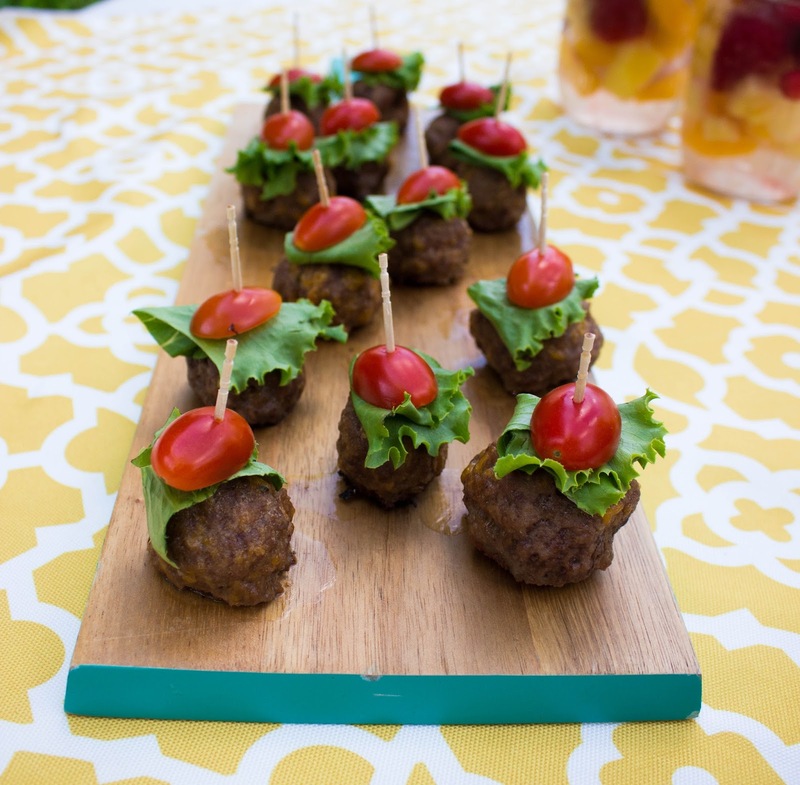 Well today I’m going to show you how you can make turn any food into a picnic food and I will also share with you the recipe for my Cheeseburger Meatballs. Picnics and BBQ’s are a big tradition in my family; it was the only way to get everyone together and always happened on Sundays. Who doesn’t love good food in the summer sun?! I’m so excited to share this tradition with my daughter so that she can carry it on to the next generation. Preheat your oven to 400 degrees . 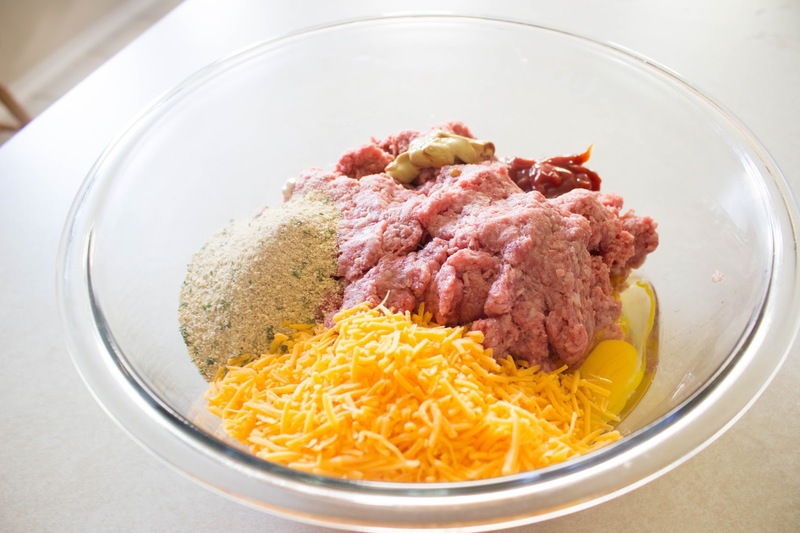 Add all the ingredients into a large bowl & mix well. 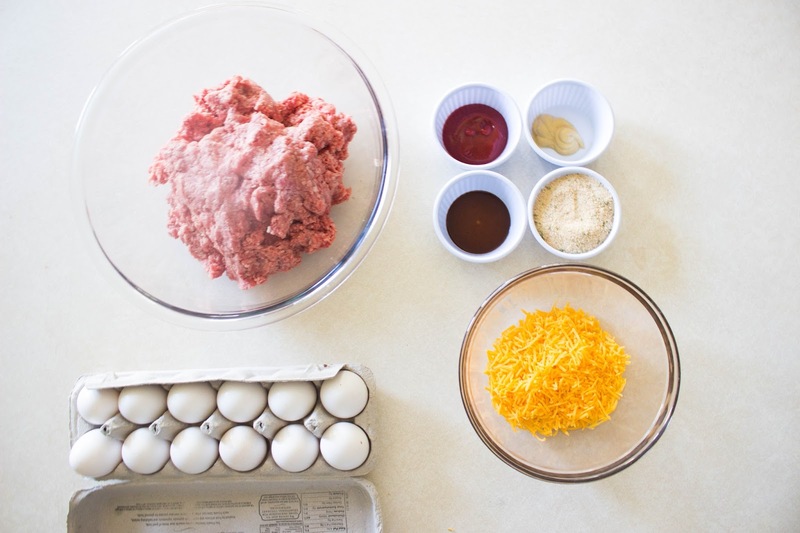 Use a 1 ½ tbsp scoop to pick up an even portion of meat & roll into a meatball. 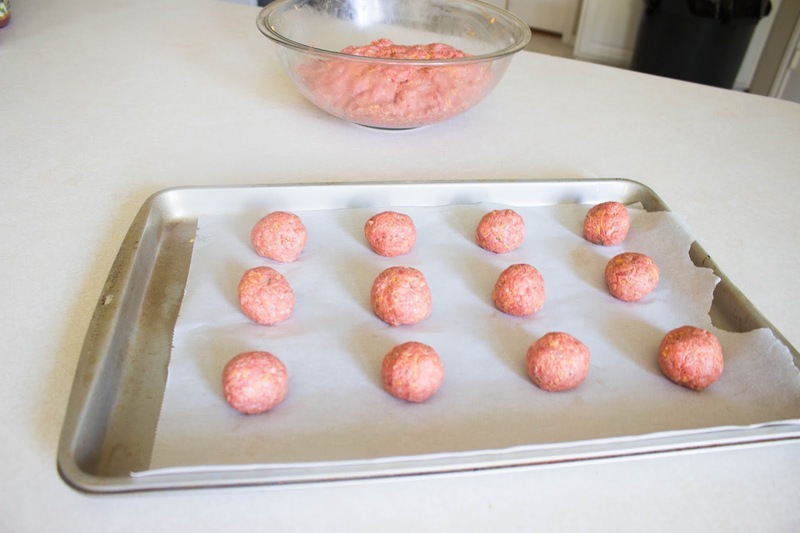 Place meatballs on a baking sheet & bake for 15 minutes. 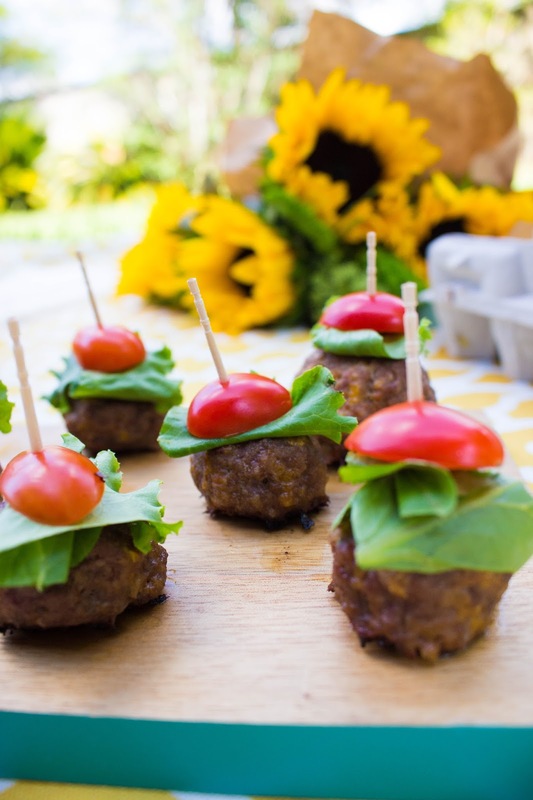 After the meatballs are nice and cool I like to add half a cherry tomato, a small piece of lettuce, and a piece of bacon on a toothpick then stick the meatball on the end so you have a nice bite size burger minus the bread! To take these bad boys on the go pack them into a tupperware container and place them at the very bottom of your basket. On top of that you can place your mason jar salads with your napkins in between them so they don’t hit each other & break. The key to packing my picnic basket is to make things that are small and that you wouldn’t need a plate for. I love to make fruit infused waters in mason jars & I take cupcake liners to keep the bugs out! I also pack my deviled eggs in the egg carton so they don’t flip over. Kroger has an easy to use rewards program that allows you to save money on fuel. While you buy all your ingredients at Kroger you’re earning a fuel point for every dollar you spend, so make sure to use your Kroger Card! You can also earn fuel points when you buy gift cards purchases and when you fill out your prescriptions. You guys know that I never miss an opportunity to save money, especially if it’s while I’m spending money on things that I need for my family. If you don’t have a Kroger shopper’s card you can sign up here.